Kantar Worldpanel is the latest research body to add its voice to industry watchers urging brand owners to think seriously about online. In a similar vein to the likes of the IGD, Kantar has suggested e-commerce sales will jump during the decade and its report offers some interesting forecasts. Kantar Worldpanel expects online FMCG sales will rise 47% to US$53bn by 2016. The report, based on analysis of the purchasing habits of 100,000 shoppers in what Kantar called ten of the biggest online FMCG markets, forecasts e-commerce will account for 5.2% of global FMCG sales by 2016 – up from 3.7% at present. 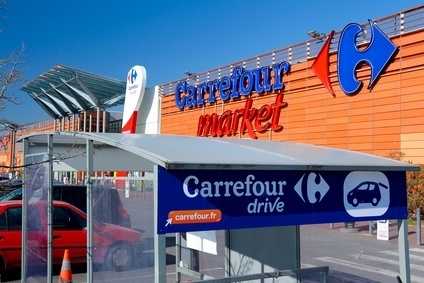 Drilling down into the report it was notable Kantar forecast France is set to overtake the UK as the market in Europe where online accounts for the largest share of total grocery sales. The growth of click-and-collect in France - or 'Drive' as it is known locally - will see 6.1% of FMCG sales in the country made online by 2016, compared to 3.9% now and versus a forecast 5.5% in the UK. Overall, South Korea is and will remain the market where e-commerce takes up the biggest chunk of sales. Kantar predicts online will account for 13.8% of FMCG sales in South Korea by 2016, up from 10.2%. Above all, Kantar called on brand owners to harness the "considerable growth" seen in the channel. Stéphane Roger, global shopper and retail director at Kantar Worldpanel, said: "The future belongs to retailers and brands that see the bigger picture and leverage the opportunities provided to broaden their target markets. Being a slow adopter has the potential to significantly damage sales and erode market share." There has been research done elsewhere that claims to show consumers are more brand loyal online - indeed, this was something Unilever told the IGD's annual online conference in 2011 - but industry watchers believe some brands have yet to fully grasp the potential the channel offers. Roger added: "One of the main concerns for FMCG players, is that ecommerce will take spend away from physical channels. However, this is also one of the biggest misconceptions. Having an online offer helps retailers to secure additional revenue rather than cannibalising existing spend in brick-and-mortar stores." There is no doubt devising an effective online strategy presents a challenge and it can be hard to convince those in your company in charge of budgets to release funds for investment with a clear - in the short term at least - ROI from the spending. But online does offer potential and, crucially, those that seek to work with the channel now will likely to continue to be better placed than more reluctant competitors, given the speed with which the sphere is evolving. Just look at the way the channel in France has developed.